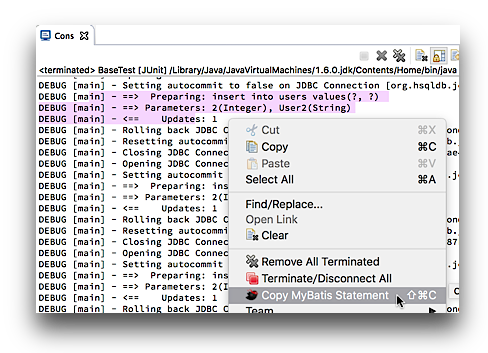 The MyBatis Blog: MyBatipse (Eclipse plugin) is updated to 1.0.20. MyBatipse (Eclipse plugin) is updated to 1.0.20. We have released version 1.0.20 of MyBatipse. Smart-copy in Console View that translates debug output as an executable SQL statement. Wizard to create a new XML mapper file. Quick fix to move a statement from annotation to XML. Please see the GitHub page for the details. MyBatis Generator Version 1.3.3 Released!